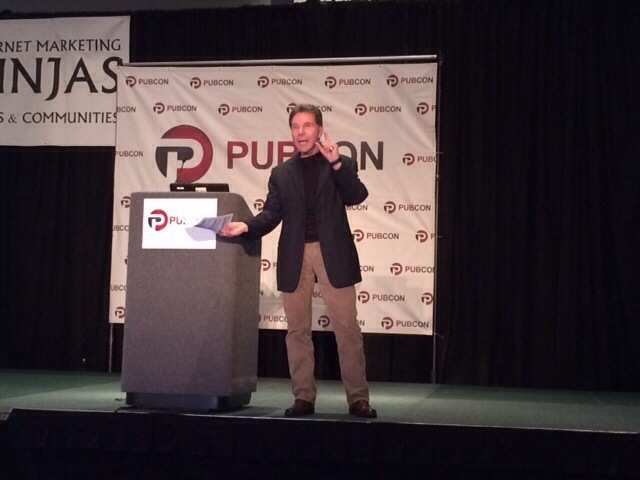 #Pubcon Liveblog: Keynote -- Robert Cialdini, Author of "Influence"
Search Marketing » Bruce Clay, Inc. Blog » #Pubcon Liveblog: Keynote -- Robert Cialdini, Author of "Influence"
Dr. Cialdini has changed the way business is done. 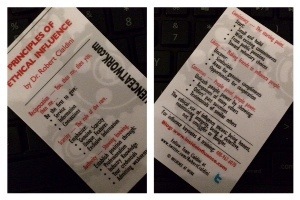 Principles of Influence have come to be the measuring stick on which business decisions are made. His book “Influence” is on the top business and marketing book lists. He has taught at Stanford’s business school and Harvard’s government school. He is the most cited social psychologist in the sphere of business. One is good for moving people in our direction, while the other is not. Uncertainty is a time when people freeze and want clarification before moving forward. So how do we persuade people that now is the right time and that what we suggest is the solution? There’s a challenge in that you may not know the exact merits that would solve the particular problem a consumer is facing. However, Dr. Cialdini can tell us the best way to present the information so that they open their ears and minds to the offering that you are presenting. There are 6 universal principles of persuasion and including one or more in a message significantly increases the likelihood of success. The last 3 give us special traction under conditions of uncertainty. In every human culture there is a rule that we are trained in from childhood that says I’m obligated to give to you the behavior you first gave to me. If you do me a favor I owe you a favor. In the context of obligation, people say yes to those they owe. Whatever we want in a situation we can get by giving it first. If we give first, people begin listening differently. The key is you must invest first before they will invest in you. Thesis: There are particular things that you can change in what you do and how you communicate that will have a big influence in your persuasive success. Here’s a study from common real life example. If there’s a mint on the bill tray for each diner, tips go up 3.3%. If there are 2 mints on the tray, tips went up 14%! The more you have given, the more people give back. You must not take without giving in return — it’s a rule that has been engrained in us since childhood. If you want to optimize the willingness and eagerness of people to give back to us at the highest possible registers, so that the ROI is maximized, add one more thing: something personalized to the circumstances to the person receiving the gift. In the restaurant server study, the server was trained to bring one mint at first then walk away only to come back and say, “For you, because you were such good customers, a second mint.” Tips went up 23%. Give in a way that the recipient perceives it as personal to them. Meaningful, unexpected and personalized — those are the three keys to the principle of reciprocity. If you’re giving something away to your customers, let them choose the special offer so that it feels like it’s special to them. We all know these principles at some level, but we need to learn to activate it and amplify it. A bowl of mints at the entrance/exit isn’t going to activate the patrons reciprocity drive. Then it’s just an expense. There were negotiation classes being taught at Stanford and Northwestern. The two professors had their students negotiate over email about a problem they had been given. They each had to come to some agreement and each had different resources they were dealing with and they were told they would be graded on how well they negotiated with the other party. If they didn’t come to some mutual agreement at the end of 45 minutes, you both fail. 30% failed due to not coming to an agreement. However, half the students were told to get to know their negotiation counterpart by sending over info about themselves. They got to know each other and humanized themselves to the other before the negotiations began. Getting to know how they were similar made a big difference because people like people who are like them. There were deadlocks in just 6% of the negotiations. If you’re dealing with someone, find out about that individual’s background and interests and hobbies. Bring up commonalities when you realize them. People want to be consistent with what they’ve done previously, especially publicly. People don’t want to be flip floppers or wishy washy. They want others to see them as consistent. So, before you ask people to take a big step in a direction, ask them to take a small step in that direction because once that step is taken they will want to be congruent with it in subsequent situations. When people made reservations for a restaurant by phone, changing 2 words reduced no shows to reservations. Originally the line the receptionist would say “Please call if you have to change or cancel your reservation.” The changed line was “Will you please call if you have to change or cancel your reservation?” People always said yes, and no-shows at the restaurant went from 32% to 10% immediately. People made a committment, made a small step, and that was enough to activate the consistency principle. The best way to get people to commit is by getting them write it down. Get them to click multiple times, type in something, and they will stay more stable as a consequence. If you’re a manager and you give someone a goal and they’ve advanced toward that goal in some significant way, it’s standard to congratulate them for “progress.” Using that word is a mistake. When people feel they’ve made progress they take their foot off the gas. Congratulate instead on the commitment to the goal and the result is they will step on the gas even harder. What are the 3 psychological consequences of being uncertain? 1. Freezing: A reluctance to act or make a choice until the uncertainty is reduced. Decision-makers adopt a wait-and-see attitude. 2. Loss aversion: A tendency to prefer choices designed to prevent losses over those designed to obtain gains. For each new dollar of gain, psychological satisfaction is charted as a steady incline. For each dollar lost, psychological satisfaction is charted as a drastic downturn. 3. Heuristic choices: When choices are made, they are based on a single relevant factor rater than the total set of relevant factors. “If I can’t have it, I want it.” Scarcity is about loss. It means you can’t get it any more. If people are unsure and don’t know what to due in a situation, they act to prevent losing. You’re entitled to framing arguments in terms of loss because people want to know what it is they are at risk of losing. People want this info and we’d be fools if we didn’t honestly inform them. The second version produced a 45% lift in sales for Bose. Besides scarcity of commodities there’s also scarcity of information that compels people forward. Providing exclusive info, vs. info widely available, is more persuasive. If you get access to some new info before it’s widely published, and you have someone for whom this new info is relevant, when you get this new info you need to move immmediately. People are going to listen differently about what you’re going to say about it if you preface it with “I just got this from someone who has early access to it. It’s not even published yet.” Every hour of delay is equal to an hour of decay in its value. So move immediately and make clear its exclusivity to the person you’re sharing it with. “If an expert says it, it must be true.” This can take the form of favorable testimonials from relevant experts. When Bose added this component to its ad, it saw 60% further increase in sales. Note here that you can combine multiple factors of persuasion for an even greater amplification of effect. Credibility is made of two things: knowledge and trustworthiness in the eyes of your audience make you unbeatable to your audience (all else equal). Before you try to be influencial, honestly inform people of your background, experience and credentials in a particular arena. This may sound easy, but talking up your own credentials doesn’t come across well. It will come up as self-promotional braggart. Dr. Cialdini was introduced by Brett Tabke who shared Robert’s credentials with the audience before he spoke. Have someone who knows both you and another party do the introductions. Or a letter of introduction several days before a planned meeting may be appropriate. How do you convey trustworthiness? To convey instant trustworthiness to markets with no history of a product or service, the most savvy advertisers have learned to do something that runs counter to intuition: lead with strongest arguments, strongest features, most compelling case, and then when people are leaning in that direction, you list the drawbacks. This establishes trust. If you mention a drawback you’ve showed people you’re knowledgeable about the cons, and that you’re trustworthiness enough to talk about the weaknesses of the choice. The above taglines establish a credibility anchor and pivoting to deliver a benefit that wipes out the disadvantage. Put your strongest argument after a moment where you have admitted a weakness; that’s when people are listening differently to what you have to say. Another way people reduce uncertainty is by looking at the advice of peers. 98% of online purchases say they check product reviews online before buying.When a restaurant owner marked the items on the menu that were the most popular items, sales jumped 13-20%. It was a costless change and entirely honest. This goes for decisions that they might not have made before. If someone did’t intend to order dessert but they see that there’s a dessert on the menu that is a best seller, that confers a message that they’ll enjoy it, that it’s good for them, and they are more likely to order it where they wouldn’t have before. We follow the lead of many others and of similar others. 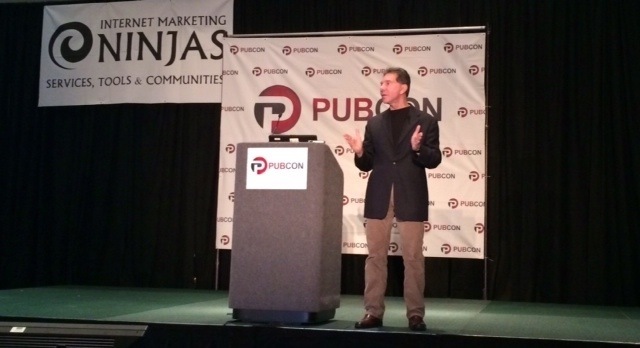 The consensus principle is at the core of the social media revolution. Before you go into a meeting or make a call, reference the 6 principles and see what you can draw from and apply and you’ll find you’re a significantly more effective influencer.